I feel so guilty laughing at that. (laughing) I haven’t laughed this hard since I watched an episode of The Shield the other night. RUSH: Back to International Women’s Day. McDonald’s… You know the golden arches? This is the kind of stuff to me, this is just… It’s just silly. But this kind of symbolism has taken over in substance in so much of our culture, and it amazes me — it honestly does here — that feminists can be so mollified by base symbolism that doesn’t do anything, it doesn’t accomplish anything. So McDonald’s, in one of its locations in California… In one location, not all of them. How many McDonald’s locations are there? Thousands, right? 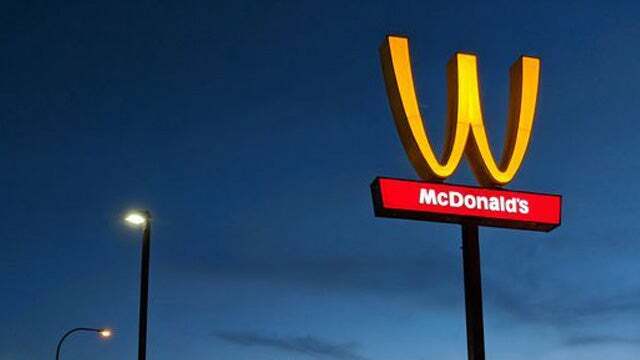 In one location in California on the sign outside, they flipped the arches so that rather than having them look like two arches, it looks like a W — and this is supposed to signify McDonald’s’ solidarity wouldn’t with women on International Women’s Day. The problem is, there were people running around claiming the golden arches looked like an M, and therefore McDonald’s was discriminating by showing preference for men. Well, then, if it’s that important, why not flip every McDonald’s sign instead of just one in California? See, this is pure symbolism that doesn’t mean anything, and yet look at the number of people that are satisfied by it. Wrong word. Not satisfied. Look at the number of people who actually think that there is substance to this, that has some kind of genuine and real meaning. You know that there are now Brawny women paper towels? I mean, some kind of… I guess in one sense, we should be happy that this is all it takes to mollify a bunch of angry feminists. Flip a sign? If that’s all you have to do, fine. We’ll flip signs all day long, if that’s all you want.